Woodhouse Natural Pools was born 15 years ago to resolve a family disagreement. 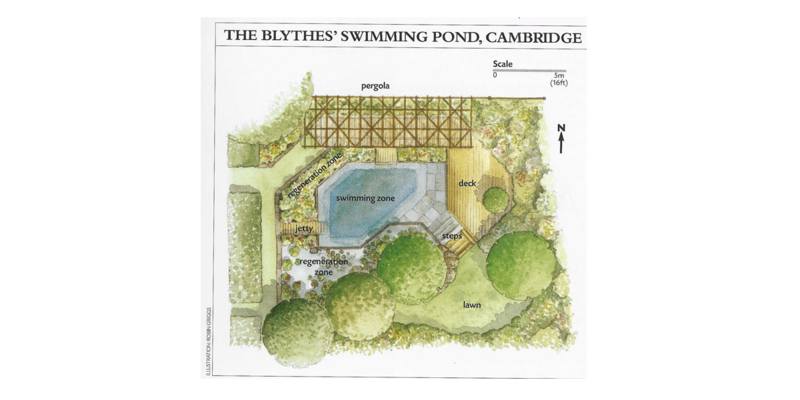 The Blythes were ‘discussing’ with some vehemence whether to have a blue chlorine swimming pool or a wildlife pond in a treasured orchard area and vegetable patch. ‘For’ the blue pool were the father and three 11-year-old triplets of similar mind. ‘Against’ was the mother, of one mind. The mother, although in the minority, won the debate as, by coincidence, we were lucky to find a solution that suited them all. 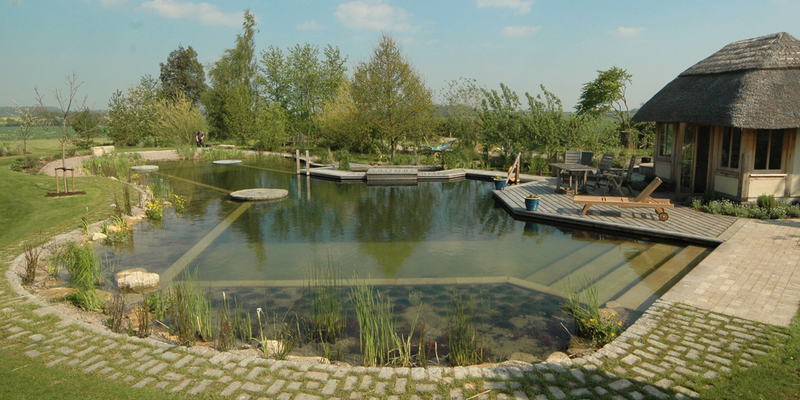 A neighbour happened to give me a copy of an article on Biotop natural swimming ponds… and from that small beginning, we created a crystal clean swimming area surrounded by a rich oasis of plants and wildlife. 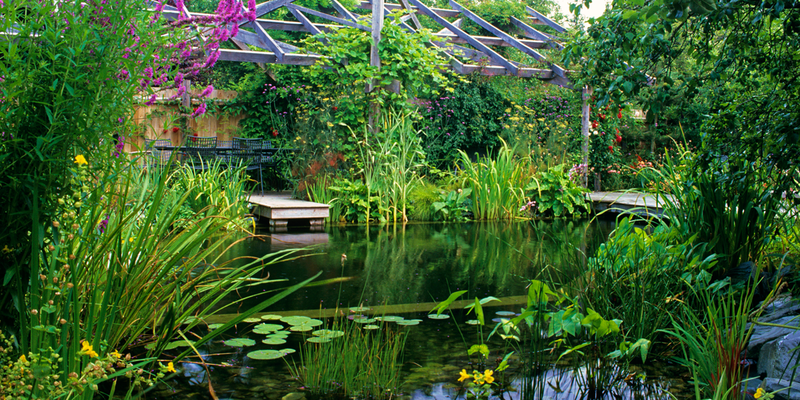 The pergola, which was built to support solar panels for heating, was never needed and is now a hanging garden, wisteria and winter jasmine trailing over the edge . 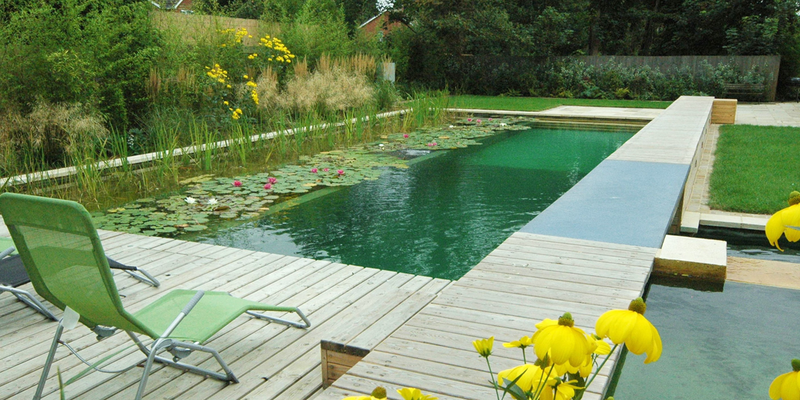 We now enjoy building an infinite variety of natural pools for each of our clients. There are few limits to what we can do. Warmer pool temperatures, heating, covering and building indoors are now all possible. We are a small family based company working from our head office covering South East England, with another base in the South West of the country. 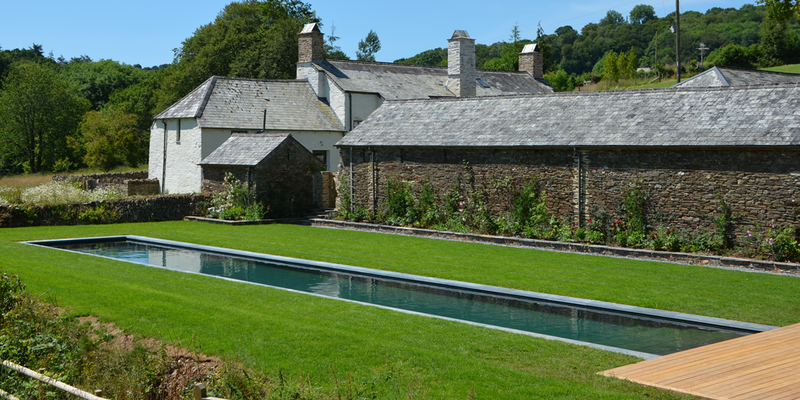 We love building these pools all over the UK and abroad. If your house is more than two hours away from our offices in rush hour traffic, we send a team to stay on location until each pool is complete. This often saves transport time and costs with our busy roads. 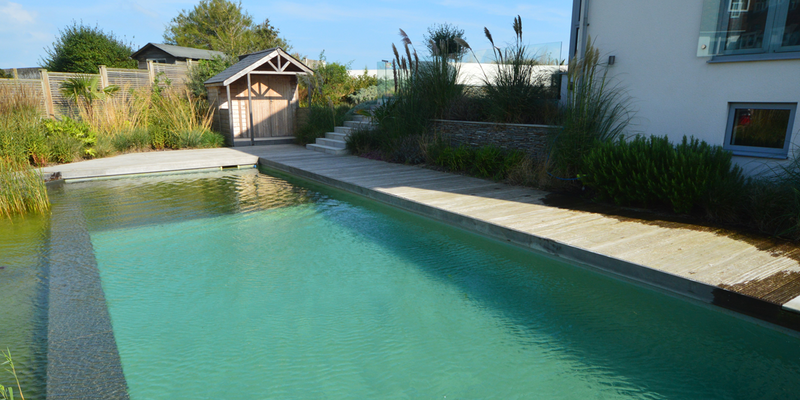 We are equally happy building pools abroad and can do fully designed and supported pools, sending our team to do all the specialist work. I hope you enjoy this new website and seeing our more recent pools, as well as some older ones as they are now.